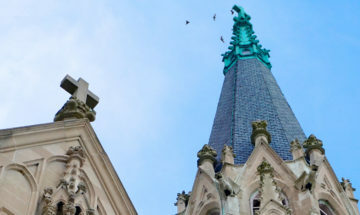 Indiana Landmarks recognizes winners in Valparaiso, Princeton, and Wabash for their advocacy for historic buildings and preservation. If you own an old building and you have a problem, you want an electrician/carpenter/plasterer who knows old buildings. And that’s getting harder to find. Preservationists bemoan the increasing scarcity of tradespeople with expertise in repairing and restoring historic structures. The Porter County Building Trades Corporation, winner of Indiana Landmarks’ 2018 Servaas Memorial Award for outstanding achievement in preservation in the youth-serving category, addressed the skills gap and saved a landmark in the process. 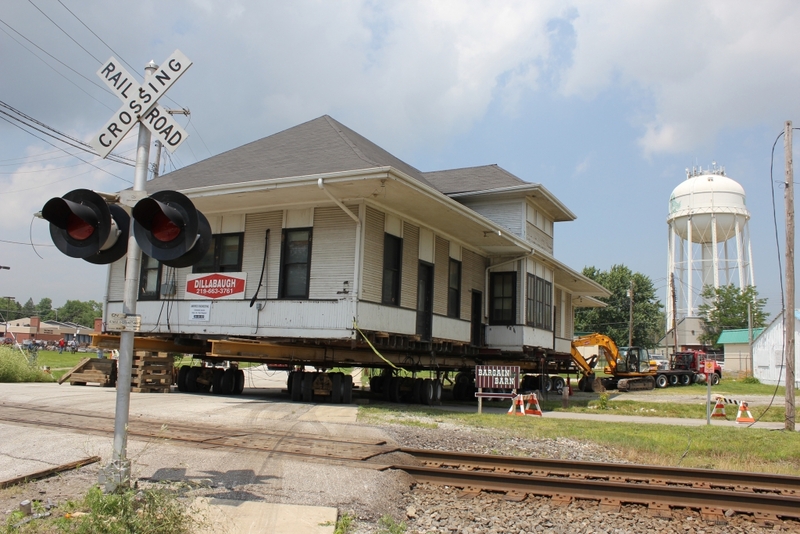 When Canadian National applied for a permit to demolish the historic depot in Valparaiso four years ago, the director of the county’s vocational education center came up with a solution. 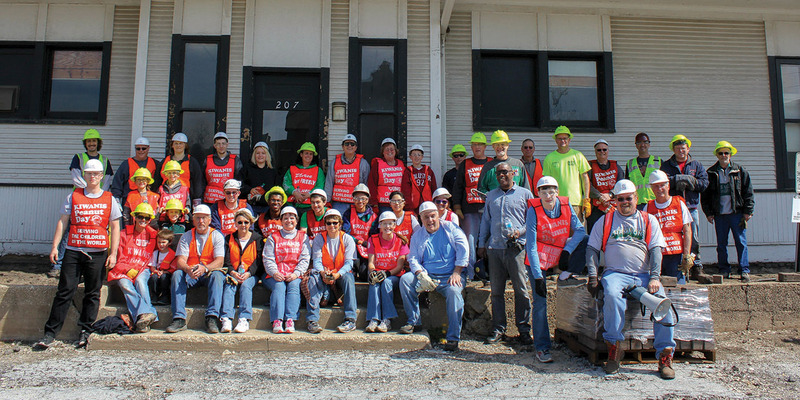 Jon Groth raised money to move the 1912 building an eighth of mile along the tracks to the school, where the students worked for three years to restore it. Madilyn Mayernik just graduated from the program. “I got to see how walls were built in 1912. In the second year, we built walls for the new classrooms, did drywalling, refurbished the old transom windows. Some students worked on the electrical,” Mayernik says. “About 40 building trades students each year worked to restore and adapt the place as The Hair Depot, the school’s cosmetology classroom. They acquired the skills to work on both old and new buildings,” Groth notes. He will accept the Servaas sculpture and $1,000 prize at Indiana Landmarks’ annual meeting in September from Randall Shepard, chairman of our awards committee. 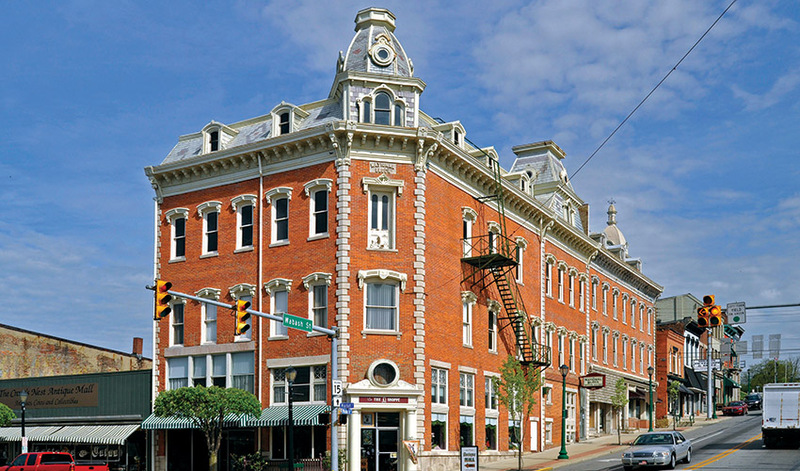 Wabash Marketplace, Inc., the Servaas Memorial Award winner in the nonprofit category, makes preservation a top priority in its work to revitalize historic downtown Wabash. 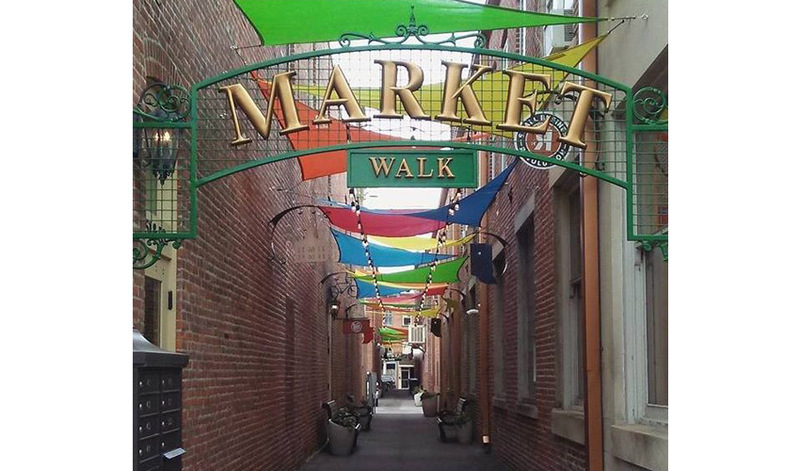 The organization’s impressive record includes a façade grant program, a revolving loan fund to aid in attracting businesses, events that regularly bring people downtown, and a fearless willingness to buy and turn around dilapidated historic buildings. 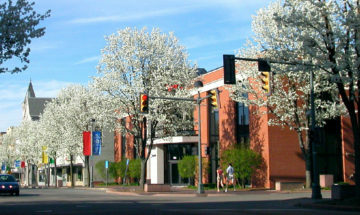 Downs will accept the $2,000 Servaas Memorial Award at the annual meeting and invites everyone to visit Wabash. “Come on First Friday, spend the night at the Charley Creek Inn, visit Modoc’s for your wake-up coffee and browse the Saturday morning Farmer’s Market. Want to open a business in a historic building downtown? We’ll help you with that,” Downs notes. Visit wabashmarketplace.org for more info. 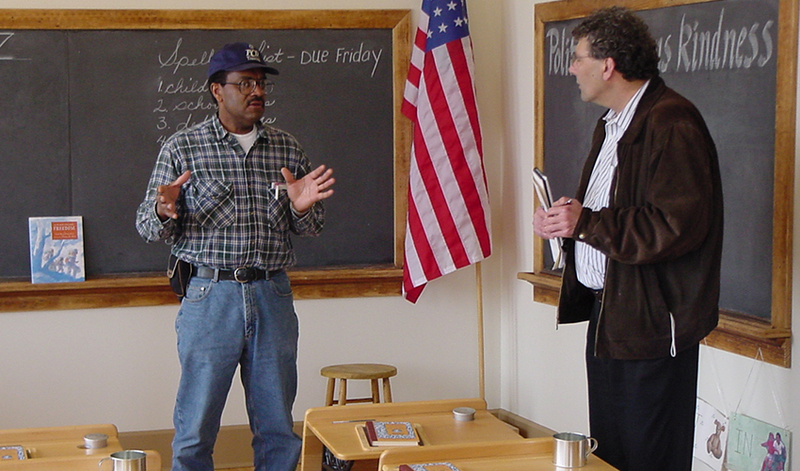 Madison led the restoration of Lyles Station School as a museum of the community founded by free blacks in the 1850s. The Williamson Prize for outstanding individual leadership in preservation went to Stanley Madison. 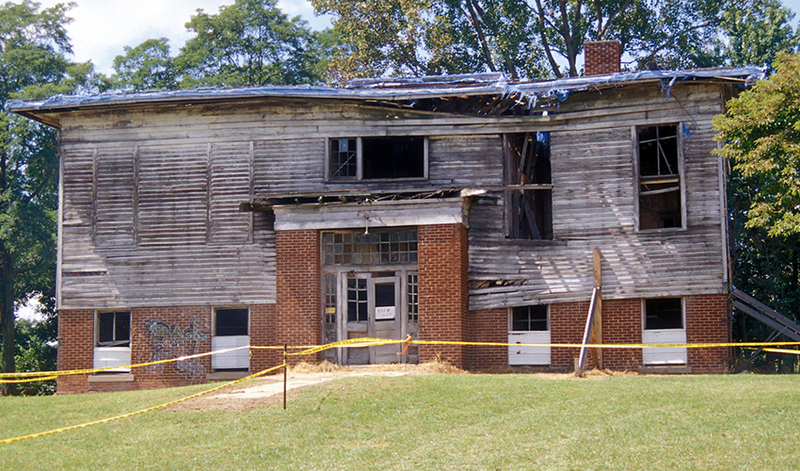 In the 1990s, Madison steered the rescue of the Lyles Station School from a collapsing 10 Most Endangered wreck to a museum that has attracted nearly 15,000 students since 2011. People who visit learn how free blacks built a thriving farming community beginning in the 1850s in a restricted and segregated era. He remains chairman of the Lyles Station Historic Preservation Corp, leads tours of the school, manages special events, plants the garden, recruits volunteers—a corps of about 30—and steers the group to achieve an ambitious master plan for the site. 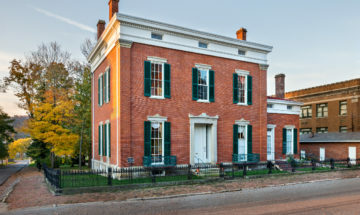 “Indiana is a richer state because the historic Lyles Station School still exists to instruct us about the African American experience, and Stanley Madison is the man responsible” said Indiana Landmarks President Marsh Davis. 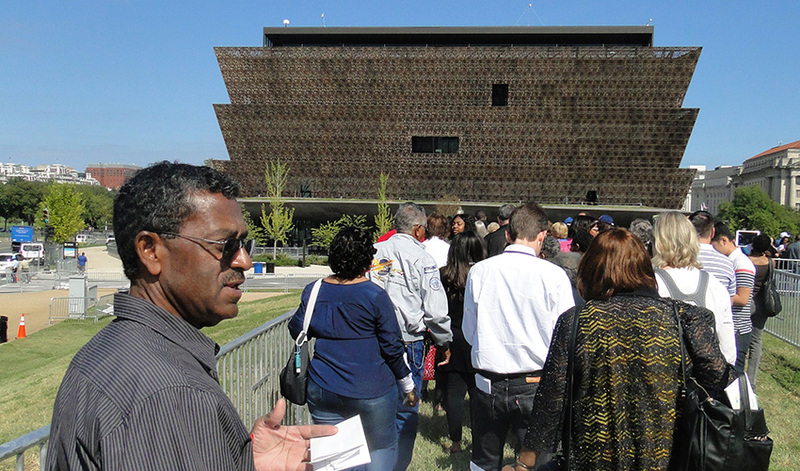 When the Smithsonian National Museum of African American History and Culture was in development in Washington, D.C., its curators sought out Stanley Madison. “Because of Stan’s work, his passion and his eloquence, Lyles Station and Gibson County are represented on the national stage in one of the world’s preeminent museums,” noted Eric Heidenreich, Executive Director of the Gibson County Visitors & Tourism Bureau. 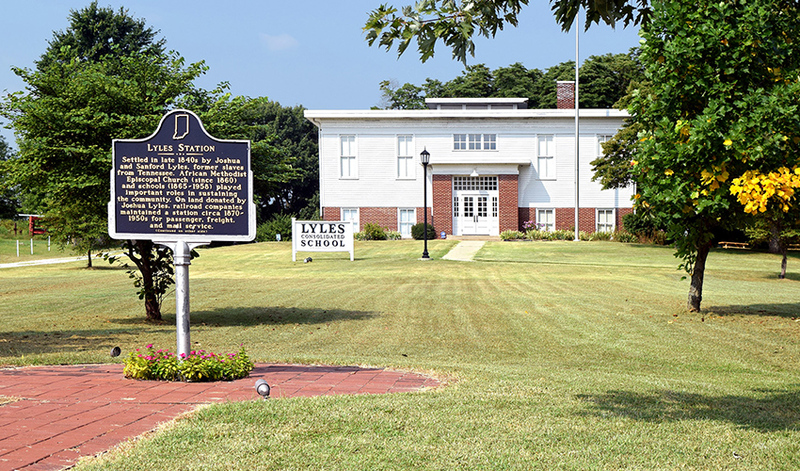 Lyles Station School marks 20 years since its renovation began with a celebratory weekend August 31 – September 3, 2018. Get the full schedule of events on their website.